What is the name of the sloop? 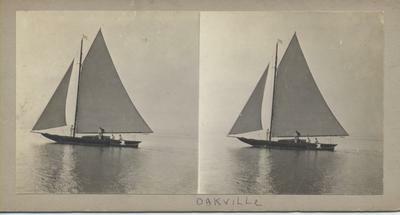 Unpublished stereoview of a small, unnamed sloop just off Oakville. The one of four-man crew is holding a line to a small boat with a fifth person, which may have just towed them out of the harbour.